Prime Minister of the United Kingdom, Honourable David Cameron, announced in March 2011 that the responsibility for producing passports for all British nationals living and working abroad would pass from the Foreign and Commonwealth Office (FCO) to Her Majesty's Passport Office, then the Identity and Passport Service. 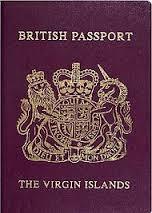 On March 31, 2011, the Prime Minister announced that responsibility for producing passports for all British nationals living and working abroad would pass from the Foreign and Commonwealth Office (FCO) to Her Majesty's Passport Office (then the Identity and Passport Service). The centralization of the passport production process enables the standardisation of the application, production and delivery processes for passports.